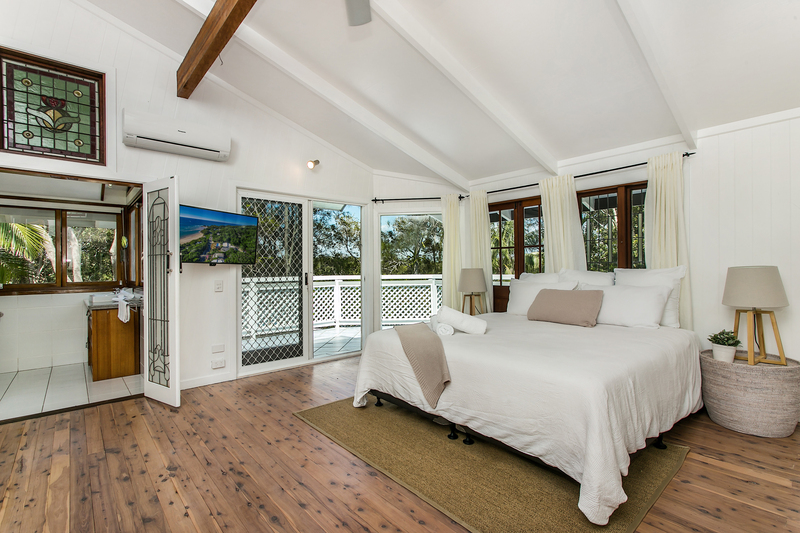 We use a range of stunning luxury houses and villas in Byron and it's surrounds for our various retreats. All yoga classes, massage treatments, cooking classes and meals are held at the retreat venue. We like to keep the number of guests to a maximum of six to ensure that our retreats are more intimate and personalised and everyone can still have their own space and privacy if desired. If you are booking twin share you will be sharing a room with one other person and will have your own bathroom. If you are coming as a single you will have your own bedroom and wherever possible your own bathroom, depending on numbers and room configurations. Below are two of the venues we use regularly-both within a short stroll into town and the beautiful beaches of the Bay. SWEETHAVEN -for larger groups of 4-6 people. This beautiful house is located at the exclusive Belongil beach-a 10 min stroll along the beach into town and only meters to a couple of popular cafes. 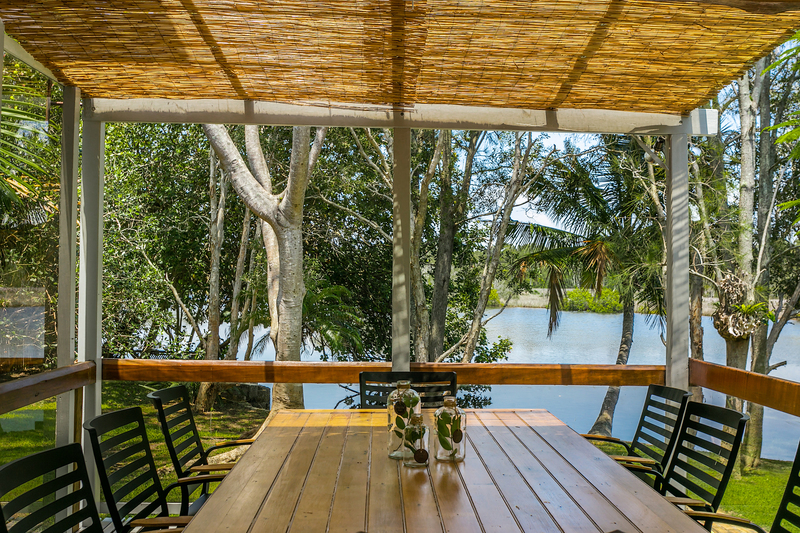 This original family beach house is in one of the best waterfront positions you will find in Byron. 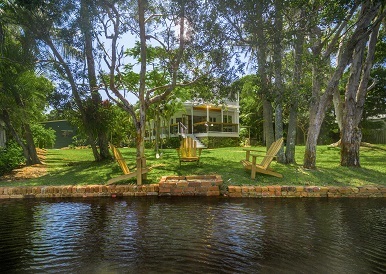 Surrounded by lush tropical gardens with frontage to beautiful Belongil Creek, the location is so private and tranquil-the perfect place to retreat and unwind. The classic cedar timber home is warm and inviting. Upstairs has beautiful cathedral ceilings whilst the rosewood and hoop pine paneling in the kitchen, dining and living room create a lovely ambiance. The large rear balcony overlooks the garden and creek where you can enjoy a glass of wine and watch the sun set. 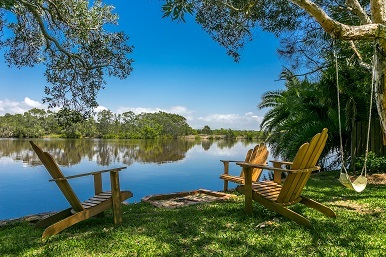 You won't want to leave this pocket of paradise! SAN JUAN SURFERS COTTAGE -for groups of 2-4 people. This stunning 100 year old rustic beach cottage is located in the heart of the beautiful old Byron township. Inside you will find teak timber floors, an open-plan kitchen and living area, two generous sized bedrooms and a stylish bathroom with a lovely deep bathtub. Charming French doors in the dining area lead onto the timber wrap-around verandah and beautiful balinese-style garden. This is the perfect space for yoga on the lawn or dining outdoors on a sun-soaked afternoon or a balmy evening.